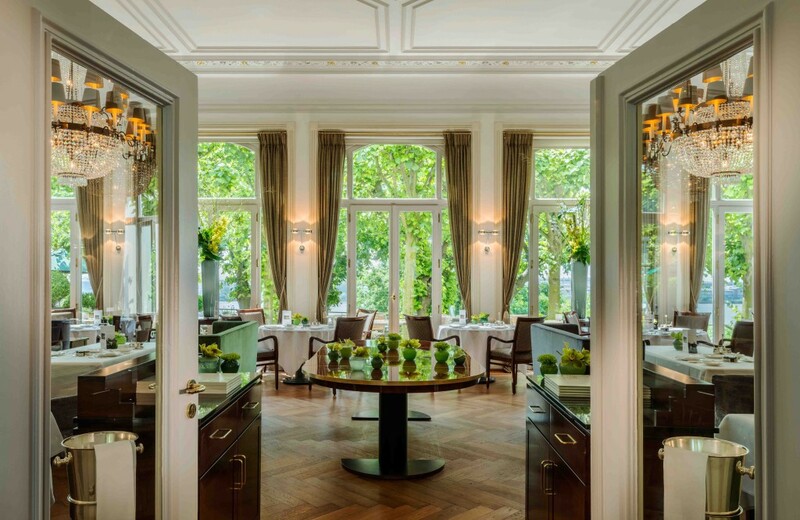 Part of the beautiful Louis C Jacob Hotel in Hamburg, Germany, Jacob’s Restaurant is probably among the best you can find in the entire country. 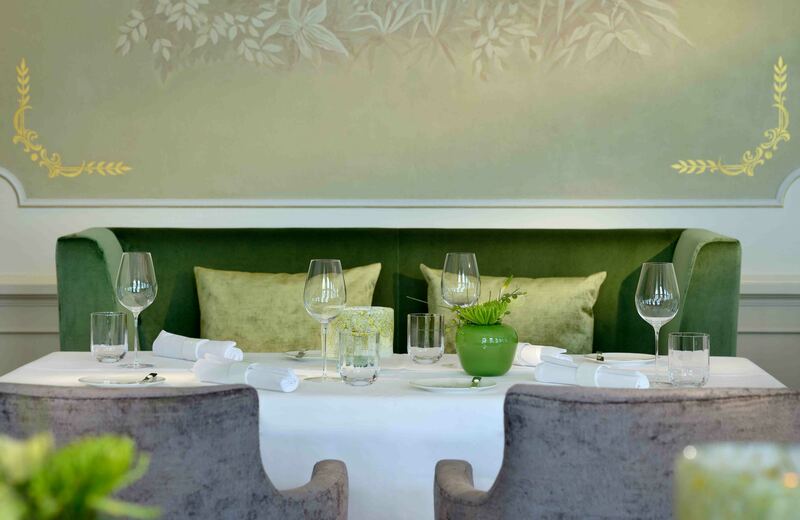 The location and its stunning décor are not the only ones that earned this restaurant its distinction, but the high-quality of the dishes served here, prepared by a 2-star Michelin chef, Thomas Martin. 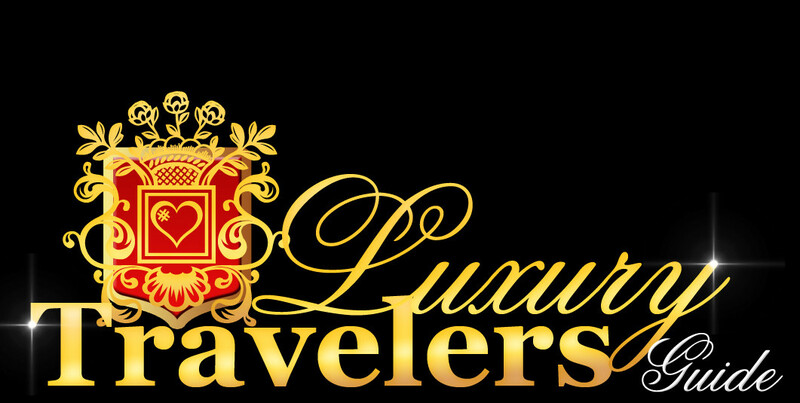 As a food enthusiast and gourmand, I must admit that I was quite eager to try out the dishes prepared by this famous chef and see if they are as delicious as all the clients of this restaurant claim to be. What was my impression of dining there? Just read the following lines and find out more about my experience at this highly rated restaurant. From the first moment I set my foot into the restaurant, I knew that I was not going to regret the choice I made. 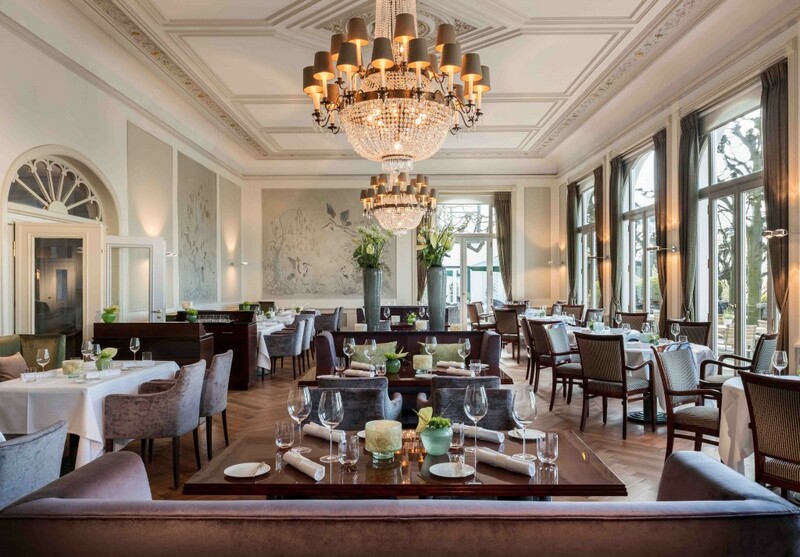 The place is decorated with fine taste and elegance, with beautiful oldtime notes that make you think about the German aristocracy that once served their dinners here. 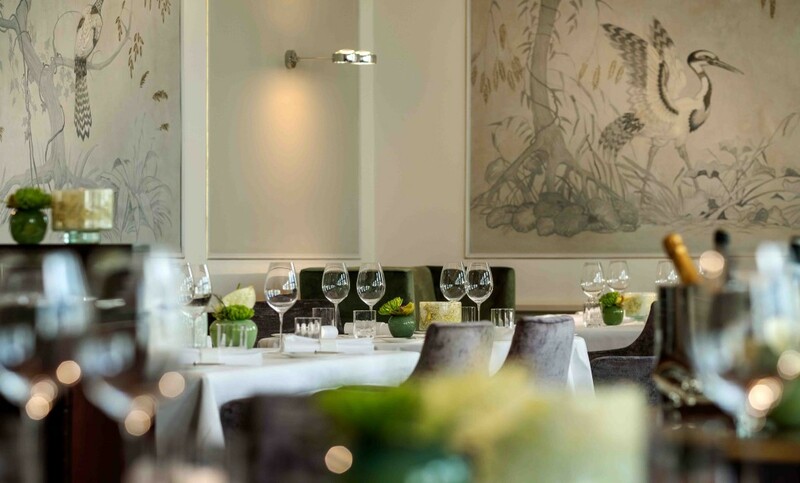 Personally, I was very impressed by the exceptional décor, which was posh and pure at the same time, very similar to what you will find if you visit some top restaurants in the Nordic countries. Also, everything in the restaurant is impeccable, from the way the tables are decorated to cutlery, glasses, and every other little detail meant to help each customer enjoy an outstanding experience while serving amazing food. I decided to visit the Jacob’s Restaurant for lunch, knowing that such a skilled and talented chef was preparing the dishes at this location. Yes, my expectancies were high, of course, which only made me even more curious about the food that we were about to serve. I also want to mention that, besides the beautiful interior design of the restaurant, we also enjoyed a table that provided a gorgeous view over the Elbe River, which is located right outside of the Jacob’s Restaurant. This made the time we spend in the restaurant even better because a nice view can always set your mood into a positive one. One can be easily distracted by the sailing boats and merchant ships, but I did my best to focus on the flavors of each dish that was set in front of me. 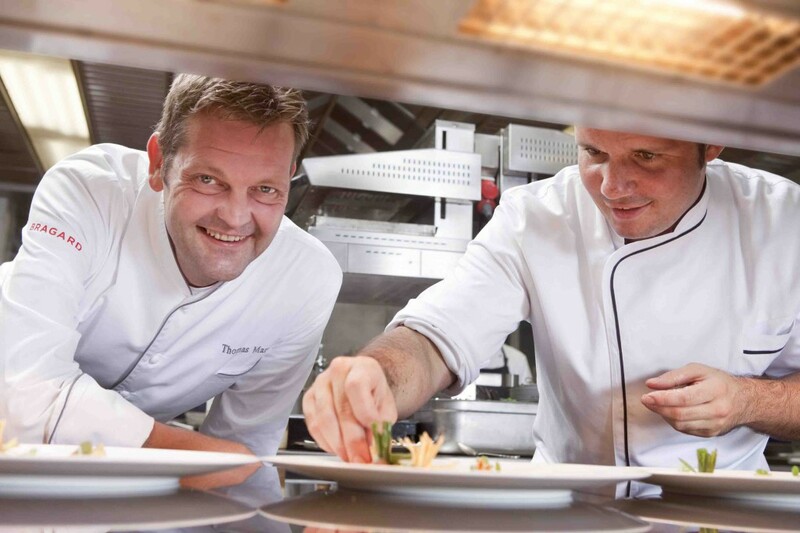 Many chefs are trying to impress through their techniques, but at this restaurant, the quality of the dishes count more than preparation methods, such as the technique of preparing molecular food. 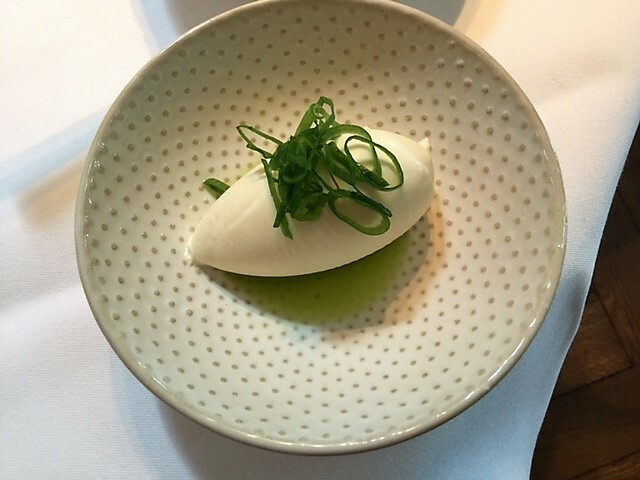 Just as a great chef is expected to do, both modern touches and traditional details could be found in one single dish of what I enjoyed at this restaurant. Chef, Thomas Martin, states that it is important for a dish to respect the “what you see if what you get” statement, making you want to taste every single ingredient of that dish. And that was exactly what I experienced, an unforgettable lunch, a top French gastronomic experience prepared in a modern Nordic style. 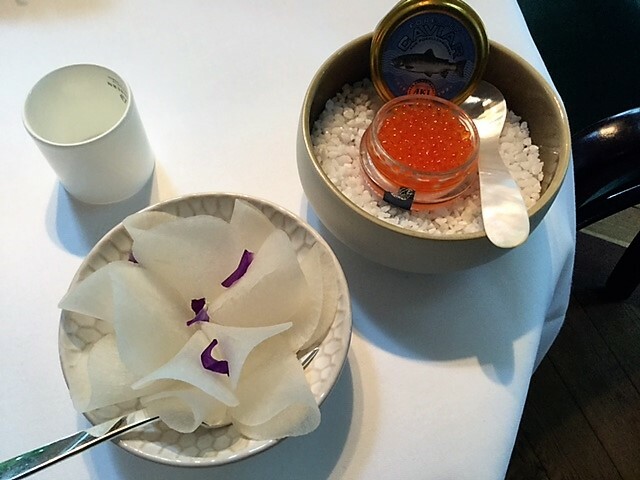 My 5-course lunch began with a top notch appetizer, which included homemade chips, fresh cream with citrus, white radish, and salmon caviar. It was a very refreshing and light way to start a lunch. 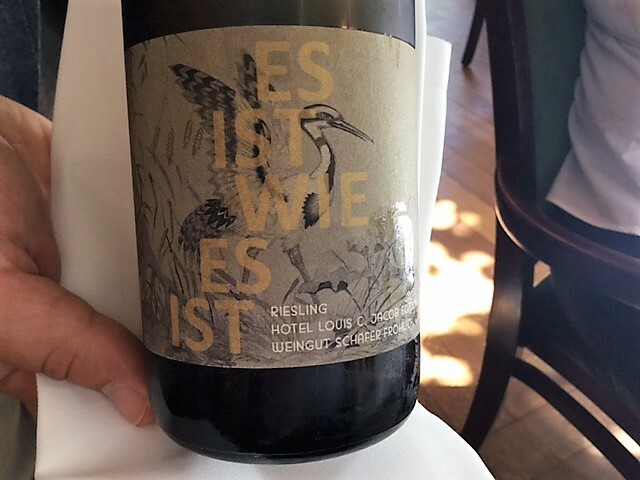 The sommelier recommended us a wonderful subtle German Riesling wine, which was nicely mineral, that you can find only at the Jacob Restaurant. The first dish had a very nice local feeling: salmon trout with ginger, apple, perennial celery, dill, and radish. It was delicate and fresh, preserving the spirit of local cooking but prepared in a French gastronomic manner. The second dish was even more surprising. 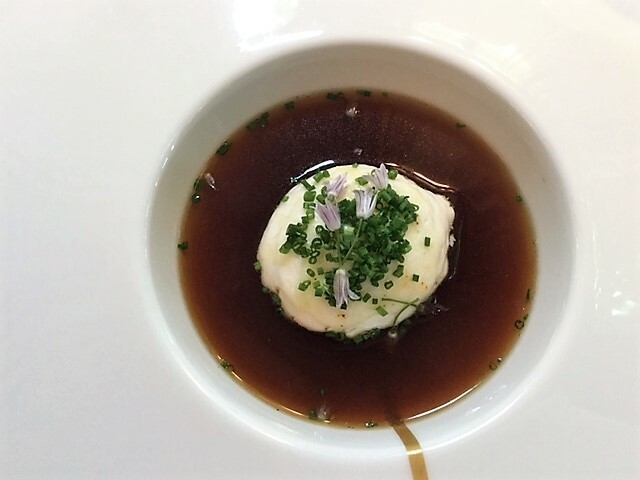 We had the famous French onion soup and it was really outstanding, which left us pleasantly surprised, in comparison of some other onion soups that some French stared chefs had put in their menus. 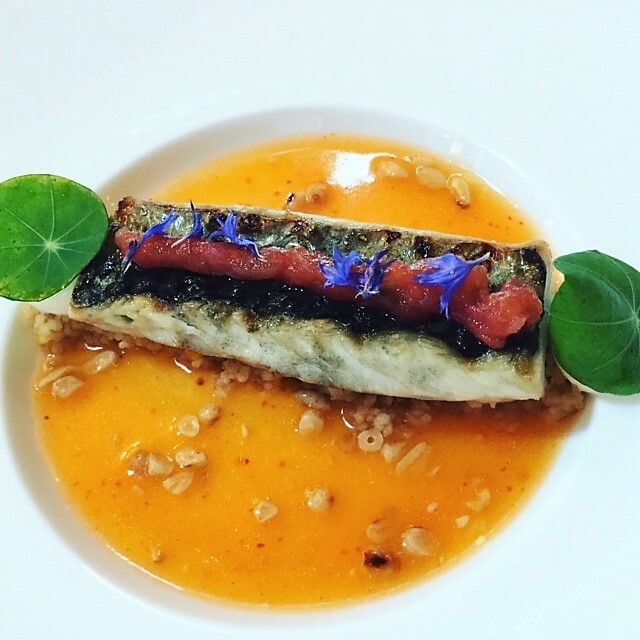 The third dish consisted in Grilled Mackerel with tomato jam, couscous, and Greek yogurt, all ingredients arriving on the plate in a very nice presentation but slighty less tasty than expected. 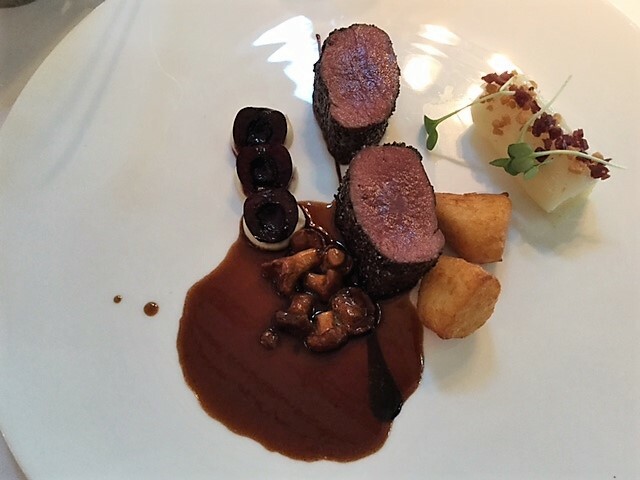 The fourth dish contained fried saddle of venison covered in a spice coat that was made with mushrooms, cherries, kohlrabi, and pomme dauphine. 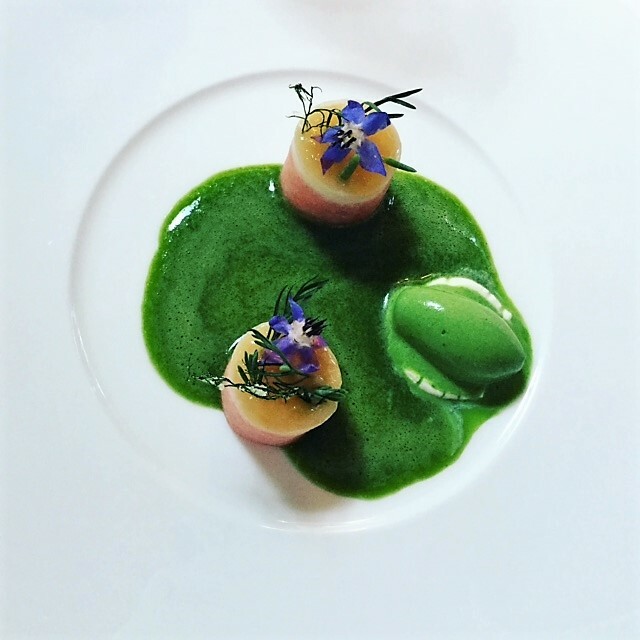 For me, this dish was a true jewel and sufficient proof to me that Thomas Martin deserves to receive 3 Michelin French stars, becoming the most iconic chef in Germany. We ended our lunch with a dessert, of course. 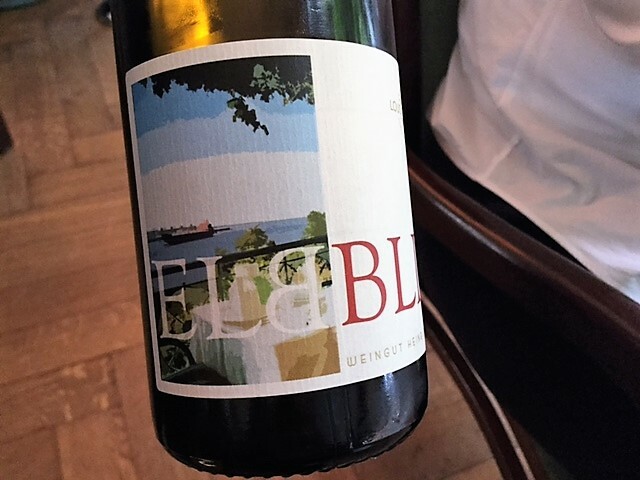 We enjoyed strawberry and Baiser champagne that was once again a great choice of the sommelier, which is a wonderful German sweet wine, far more subtle than a Muscat and not far away of iconic Château D’ Yquem. The amazing flavor of this German wine is due to the fact that the grape harvest is done very late in the autumn. Unfortunately, this must-try wine for all wine lovers can be enjoyed only at the Jacob’s Restaurant, as it is again a wine assortment that is exclusively provided by this restaurant. Our stay in Hamburg proved to be excellent when it came to experiencing great moments for foodies like us. It is really worth living this kind of experience if you ever plan to come to Hamburg, even if you have to make a booking at this restaurant well in advance in case you want to enjoy a table here.If you do so, you won’t regret the choice, because neither did we. 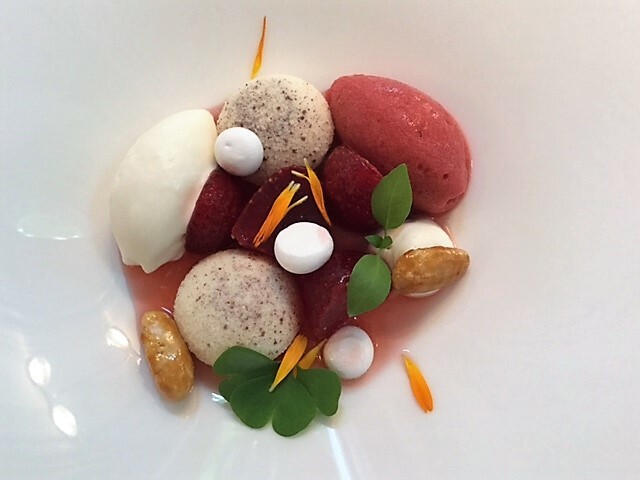 We were delighted to enjoy dishes prepared by a chef that truly deserves his Michelin stars and even more.